Some Interesting Prophecy — Can mobile phones change human history? Are they already doing it? If you’re not interested in Social Anthropology, just quit reading right here. 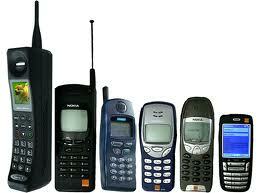 History of cellphones = History of Culture? About three years ago I read this article and, seeing the potential for following the idea, saved it in a file to be read in July of this year. I just reread it. Wow! In the light of current events and the recent past events, it makes Mark Pesce look almost clairvoyant. I commend it to those so inclined. Scroll down to the second article on the page. Last month, The Economist, that fountainhead of Ur-Liberalism, proclaimed humanity “halfway there.” Somewhere in the last few months, half the population of the planet became mobile telephone subscribers. In a decade’s time we’ve gone from half the world having never made a telephone call to half the world owning their own mobile. It took nearly a decade to get to the first billion, four years to the second, eighteen months to the third, and—sometime during 2011—over five billion of us will be connected. Mobile handsets will soon be in the hands of everyone except the billion and a half extremely poor; microfinance organizations like Bangladesh’s Grameen Bank work hard to ensure that even this destitute minority have access to mobiles. Why? Mobiles may be the most potent tool yet invented for the elimination of poverty. This entry was posted in Commentary, Culture, Evolution, Government, History, Human Rights, Politics, Social Networking, Technology, YouTube and tagged Anthropology, Commentary, Culture, Evolution, Government, History, Human Rights, Microblogging, Mobile Devices, mobile phones, Mobile Web, Politics, social change, Social Networking, social science, sociology, Technology, third world, Wireless, YouTube on July 16, 2011 by Bill.